A New Jersey trooper met the retired police officer who delivered him 27 years ago — when he pulled him over last week. "We’re not sure what the odds are of this happening — maybe they’re close to the odds of a hole-in-one, winning the lottery, or being struck by lightning — but it happened," New Jersey State Police said on its Facebook page Wednesday, describing the happy meeting. Trooper Michael Patterson stopped Michael Bailly for a minor motor vehicle violation on June 1 in the Kingwood Township area, and as the two men spoke, Bailly mentioned that he used to be an officer in Piscataway. Patterson told Bailly that he was from the same town, and Bailly asked where he grew up. Patterson told him that he grew up on Poe Place. Bailly recalled Poe Place well; back in October 1991, when he was a rookie cop, he helped deliver a baby there. The mother had been out shopping when she went into labor and barely made it home before the baby arrived. The baby's father rushed outside and carried her into the house, then called their doctor, who talked Bailly through the birth. Bailly remembered the color and style of house, and that the baby’s name had been Michael. Patterson extended his hand to Bailly. "My name is Michael Patterson, sir. Thank you for delivering me," the trooper said. 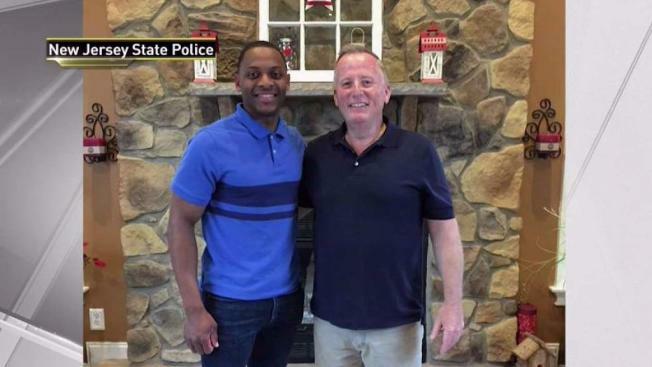 Needless to say, the trooper, the retired officer and both their families were ecstatic about the reunion, according to New Jersey State Police, and Patterson and his mother visited Bailly and his wife at their home. "They all felt this story was so uplifting, it needed to be shared, and we agree! After all, as a police officer, you don’t always get a chance to have a moment like this with people you once helped in your career!" the state police Facebook post said. 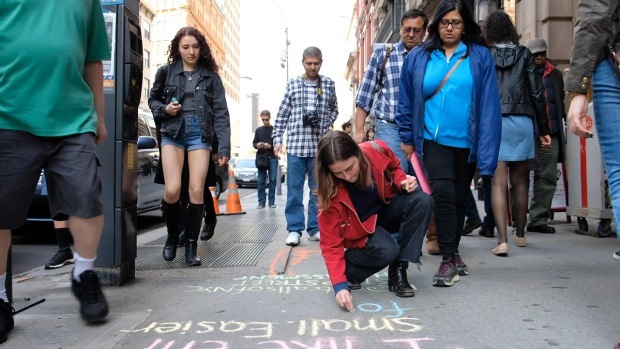 Bailly never got that ticket for the minor violation, state police said.